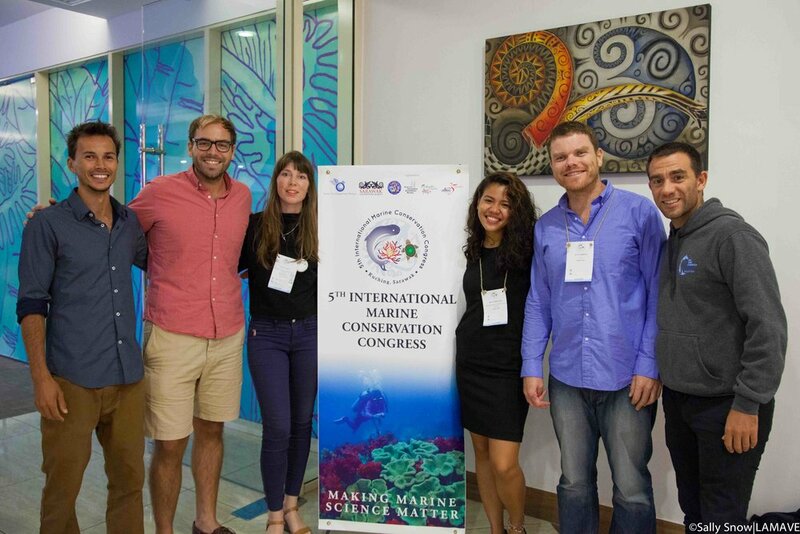 The 5th International Marine Conservation Congress was held last June 23-30, 2018. It was my first time attending an international conservation conference together with other members of LAMAVE, as well as presenting some of our ongoing research conservation projects in the Philippines. The 5-day conference was full of activities, with many inspiring plenary talks, interesting paper presentations on marine research and conservation, group discussions, and poster presentations. If only I had the power to clone myself, I would have definitely done that and attended all of those presentations! It was super exciting to observe social science related presentations for marine conservation as well as sessions discussing using Social Media as a tool in Marine research. It was amazing to meet new people coming from different international universities, non-government organisations, and independent researchers sharing their passion and contribution towards Marine Science! On June 27, I presented LAMAVE’s Sea Turtle Research and Conservation project in one of the conference’s session rooms. To give a general overview of my presentation, the turtle project is an ongoing project with the aim of understanding the aggregation and seasonality of green turtles visiting the waters of Apo Island, Philippines. It also investigates habitat use and assesses the sea turtle tourism on the island. It was my first time to speak in front of a big crowd, which consisted of people coming from different parts of the world, as well as fellow researchers who were due to present their respective turtle research. When I was there at the front, it was definitely an amazing opportunity and experience to present marine research from my home country, the Philippines, made possible by the efforts of our team, my fellow LAMAVE volunteers, the different partner organisations and people that have dedicated their energy, expertise, and time towards this turtle project for the past months. This was definitely a great honour to present such an amazing project to the international conservation community. Aside from IMCC5 being my first international marine conference experience, I have never been abroad, and so, Malaysia is the first country that I have ever visited outside of the Philippines. It is a beautiful country, the experience was exciting, nerve-wracking (this was more regarding my first time travelling solo from Manila to Malaysia via Singapore), it is rich in culture, and the food is AMAZING. 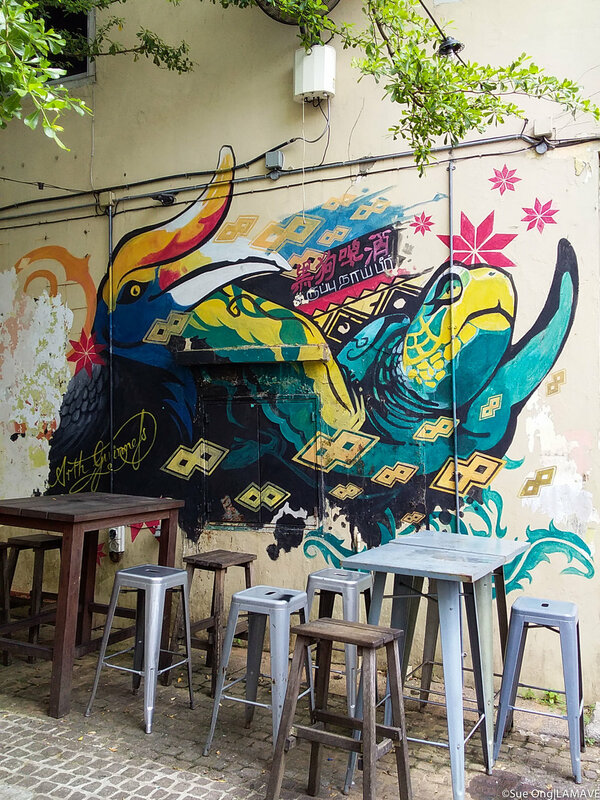 It has some similarities with the Philippines, but there is still a lot of amazing things in Malaysia that makes it a unique country. As a local Filipina, I wanted to be involved and contribute towards marine conservation, to experience research work in marine science, especially in my home country, the Philippines, as well as making an impact internationally. This was definitely a big step for me and to hear support coming from my family, friends and colleagues in Mindanao, and the LAMAVE team, on what I am doing is an amazing feeling. I am more determined to pursue this endeavour that I started 4 years ago. In this field, you have to be determined, never let even the biggest obstacle you encounter bring you down. It requires a lot of work, commitment, and the passion to learn and make an impact. I have always believed in the field of conservation, it brings together multi-disciplinary approaches, and is a challenge where people from different backgrounds (you may be an IT programmer, engineer, economist, a student) can make a big impact. Always stay motivated, passionate on whatever you’re doing and forever be inspired! Also presenting work from LAMAVE was Gonzalo Araujo, Josh Rambihinarison, Sally Snow and Ryan Murray. 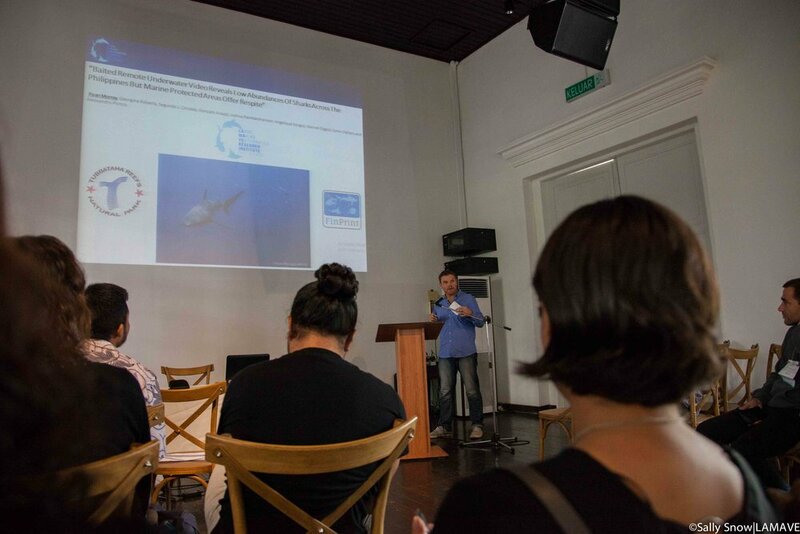 Gonzalo presented an overview of LAMAVEs research and conservation efforts for whale sharks as well as pay-to volunteer as a market based tool. Thanks to the Kinship Conservation Fellows for their support. Josh Rambihinarison presented recent findings on ray biology and reproduction from the field, while Sally Snow shared lessons learnt from using video as a tool to engage stakeholders and governments in national policy for marine wildlife tourism, a project made possible thanks to Conservation Media Group. Finally Ryan Murray presented collaborative research with the Tubbataha Management Office on grey reef sharks and BRUV systems, which contributed to Global Fin Print, the world's largest reef shark and ray survey.